Switched-On Schoolhouse 12th Grade Physics offers an in-depth physics course presented in a fun, computer-based format! Multimedia-enriched lessons help explain advanced scientific topics like dynamics, energy, waves, light, electricity, and more. 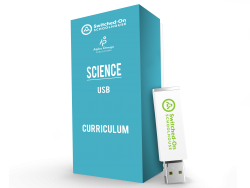 Easy-to-follow physics experiments are also included in this one-year, 10-unit Alpha Omega curriculum. Includes quizzes and tests.